Welcome back to Paradise City! Revisit Criterion's legendary white-knuckle open-world racer next month. 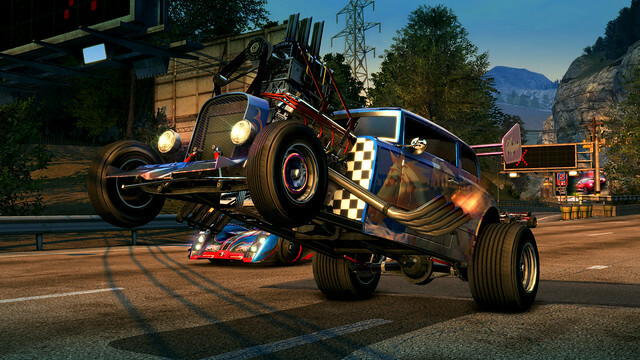 As always, it’s great to be back here on the blog and today I’m incredibly excited to share with you the news that Burnout Paradise Remastered is coming to PlayStation 4 on March 16th. Did we mention it’ll be running in 4K at 60fps on PS4 Pro? 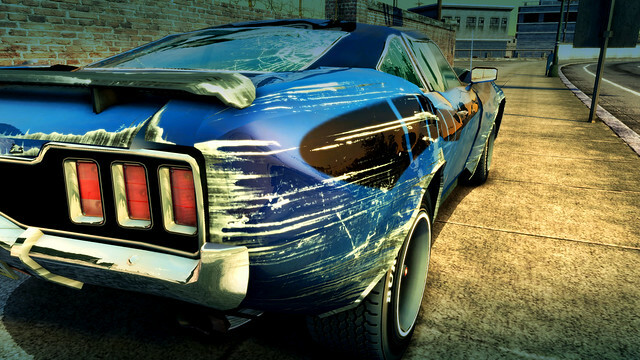 If you’ve played Burnout Paradise previously you’ll no doubt have fond memories of the first time you got behind the wheel of classic cars such as the Hunter Cavalry, Carson Fastback, Jansen X12 and the Montgomery Hawker. Maybe you have a soft spot for the toy versions of the Hunter Manhattan, Krieger WTR, Carson GT Concept or the Carson Inferno van? Perhaps you enjoy cruising around Paradise City on two wheels as opposed to four. Be honest now, how many of you owned the Jansen P12 Diamond? 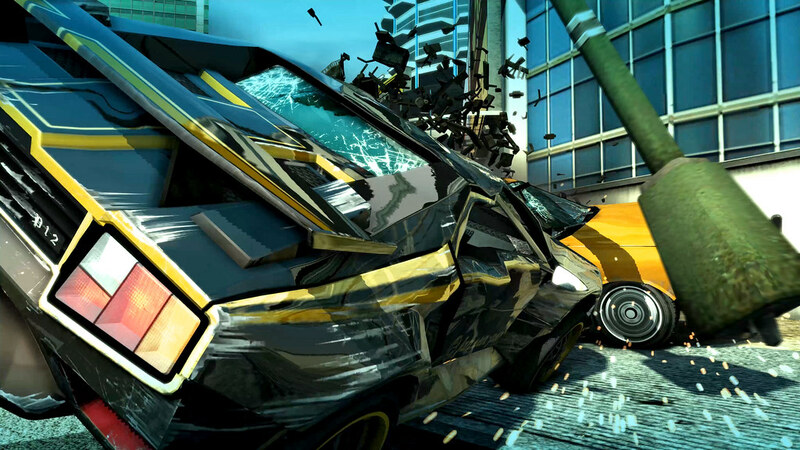 Whatever your choice of vehicle, Paradise City allows you to tear it up in the ultimate driving playground. Race across hectic downtown avenues all the way up to the wild mountain roads and relive the high-octane stunts and wanton destruction that Burnout series has become synonymous with. But what better way to play than with friends? Burn rubber and shred metal across the open roads of Paradise City while discovering jumps, stunts and shortcuts. Wreck your friends online and collect their mugshots or join forces to demolish hundreds of online challenges. Break the rules and crash anywhere at any time. Tear up the rulebook and set speed and destruction records all over town. Send your car launching, spinning and barrel rolling through the city. Leave a trail of destruction in your rear-view mirror, wherever you go and whenever you want. What’s in the box? I’m glad you asked! We’ll see you in Paradise City! I have a feeling this is going to make a lot of people happy. Might have to give this a try as I never got around to playing it the PS3. I dearly LOOOOVED this game on the PS3 – but I played to to death, and might be a little (here it comes) burned out on it, now. And yes, I had the diamond P12. But…if the price is right, I just might have to go earn another diamond P12. The multiplayer on this was about the best I’ve ever seen – I’m not usually thrilled with multiplayer, but working together with some people to knock out whatever challenges someone still had was a blast. Hope the remaster is done well. Any chance PS3 saves could be used on PS4 as I am 102% complete. I love it, but I really don’t fancy doing it all again. I hope the soundtrack is intact! Price? Hopefully just $20. And other details? Is just a basic remaster, same assets but up-rezzed to 1080p (for base PS4 I assume) and 4K? Or have models and textures been remade for it? I bit pricier than I anticipated but worth every penny. Is there going to be a disc release or is it going to be digital exclusively? It’ll be available as both a digital and physical release. Me, spent so much time trying to get it, especially due to those bike challenges. It was a pain to complete those because when I was doing them (2010), those lobbies would struggle to get the number of players you needed to launch the freeburn challenges you still needed to complete. Anyone trying to get it today is going to have a much harder time, the lobbies on the PS3 are pretty empty these day, unless it’s going to be included in the base game this time. Really hoping that’s the case, it’s such a beautiful car. It’s actually my most used car in the game. BTW, I wonder if they left the color glitch in (for those that don’t know what I’m talking about, look it up, it was a fun glitch to make your cars look really cool). I don’t care if it’s upressed assets. This could as well be a straight port with no special pimping and I would still buy it for PS4. Yes! Day one if it is $40. See you on day one then. It’s $39.99. I agree, the original on PS3 is one of my only two Platinum trophies. Such a great game, just take my money already. And 4K 60fps, that’s gona be awesome on my PS4 Pro! Wow, could this be EAs very 1st remaster!? Its about time and probably just as noteworthy, the first racing game to get a remaster nest to Wipeout. Please, keep em coming! Now, what next EA? Do I hear SSX or is it Dead Space? 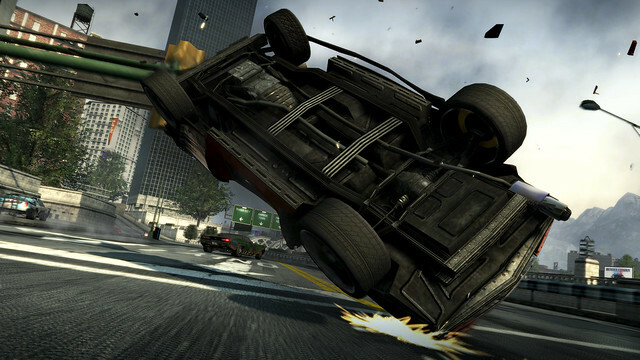 Bleh – Loved the Burnout franchise, but hated this game. I would pay $100 for a remaster of Burnout 3 though. Hell, even if it was only a “PS2 on PS4” game. GIVE US BURNOUT 3! Amen!! After seeing high scores for this anticipation was high, ready for photo takedown, crash mode. Then was like this isn’t Burnout. Nice open world racing game but not Burnout. I even loved legends for PSP. Any SSX from PS2 would do such as the first, SSX Tricky and or SSX 3. I would buy an SSX Tricky remaster in a heartbeat. Ohhh god yes remake TRICKY! Oh yes….been so waiting for this!!!! About as original as Hollywood. Let’s just keep remaking old movies and while we’re at it let’s do another remaster if an old game… Now that’s an idea that will really wow people! Clearly this isn’t for you. Alot of other people are actually happy about this. Plus it’s not like there aren’t tons of other games coming out. EA if you are reading this, please bring the skate series to the ps4. Whether it is a ps4 remaster or a new entry, please do it. Yes!!!! HDR support??? (Please say yes). Would’ve preferred a remaster of Burnout 3 Takedown instead. Take….my…money. Loved this game on the PS3! I am shocked, for a secound it looked like a new Ridge Racer, but will be checking it out. Thx! Some of the most fun I’ve ever had gaming online. And for 40 bucks? Automatic. 40 bucks? If there’s a physical release then I’m sold! But come on EA… I need a remastered/ upscaled PS3’s Hot Pursuit sooo bad! And add Bad Company 2 while you’re at it! Don’t worry, there is a physical version. Any chance of some PSVR support getting thrown in down the road? Oh well. Still a day 1 purchase for me. There’s only 1 thing I need to know. On ps3, when you crashed into another player, the ps3 cam used to snap a picture of you for the other player to see. Is this function included for the ps4 cam? This won’t be present sorry. I have to admit, I will miss this feature as I have fond memories of kids giving me double middle fingers as I demolished their rides! This is a great game. Played forever on my PS3. The best car game ever (My thought). Can’t wait for pre order. If you have never played this is a keeper or getter whatever. Are we getting the same trophy list or new ones? I hope some of the trophies are left behind. Is crash mode included again? 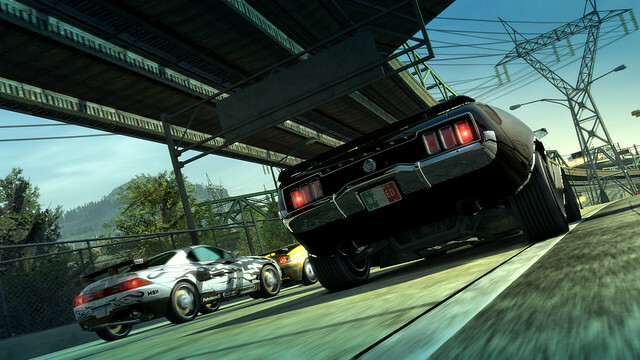 Removing that took away what made the Burnout franchise unique in the first place. If it’s there , take my money! If not , I’ll pass. Now , if you ever release Takedown or Revenge I’m all over those. Crash mode is on Burnout Paradise. You hit R3 and L3 at the same time to initiate crash mode. Great to hear there is PS4 Pro support! Any more details on the Pro enhancements (textures, shadows, etc)? Will supersampling be supported for 1080p screens? There’s nothing I want more than for this game to support racing wheels (Thrustmaster 300 Rs GT). For the love of God I want an arcade-style racing game with wheel support and VR support. That would be nice. I bought all the expansions once already for PS3, bought this on PC, too. I expect we’ll just have to wait for a sale if full price feels like too much. I’m torn, because even with the higher quality graphics, it just won’t be the same as discovering it all new, for the first time. Then again, dodging traffic and sliding around familiar old corners and hitting jumps just so…. Will it remember our scores from the PS3? Like, our best times on roads to compare against our friends? Fantastic news! But i wonder how it will run on my PS4 slim? 1080p@60fps? I’m psyched for this but also a bit bummed that it has to be re-bought while I own it digitally on PS3. Not sure if the up rez is worth 40 more dollars. I wish they had an upgrade system implemented like lots of PC software does, with discounted versions for those who already own the previous version. OMG this is wonderful news!! I had a blast getting 100% of trophies on the PS3 one. I intend to do the same again. WOO! Previously on IGN Unfiltered, Peter Moore said EA don’t remaster and re-release games. What changed? Is this EA first re-release? Will it have Supersampling if run on Pro on a 1080p set? This is great news, but they REALLY need to come out with a remaster compilation of all the other Burnout games as well. I have loved the series since it’s debut on XBOX and PS2? The hours of constant attempts to see how much damage you could rack up in a particular scenario and playing locally against your friends, to see who could do better. Good times! Will we be able to use a steering wheel? Leave Dead Space 3 out of it. I’ve never been disappointed so badly before 8( broke my heart! 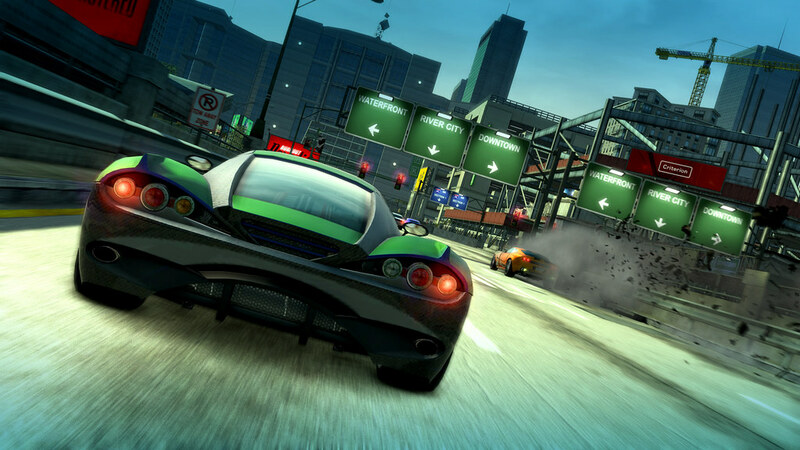 How about Burnout Paradise 2? I want some new content. Sign me up! I’ve been hoping for a new Burnout for the PS4 but this will do. One of my favorite games for the PS3. this is one of the first ps3 games that allowed music. i bought it to jam, and the game was fun, too. Day one on my (as of this Saturday) glacial white PS4 Pro! Brilliant move EA, thank you! Cross play with PS3 version? Might jump back in, if it has separate trophy list.